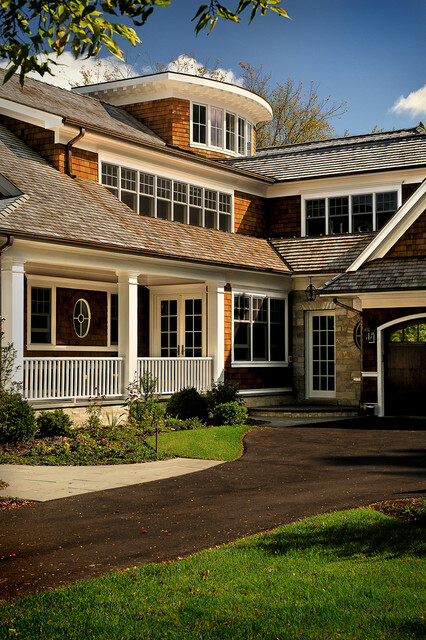 Signature Properties of Illinois, Ltd prides itself on building distinctive luxury homes on Chicago's North Shore. Our award-winning team shares a passion for fine-quality workmanship and close attention to detail. Each Signature Properties' home is uniquely designed to fit into its neighborhood, to complement the street and surrounding homes. We work hand-in-hand with top architects to make sure form and function co-exist. Even our spec homes have won awards for aesthetic compatibility in their neighborhoods. Signature has earned a sterling business reputation, forged over nearly 20 years of superior customer service,long-standing relationships with tradesmen and suppliers, and refusal to cut corners. We strive to deserve the trust our customers place in us, and, as a result, our customers have become our friends. The company was started in 1997 by Carol Rogulski, a North Shore resident since 1984 and an area Realtor since 1986. Armed with a thorough understanding of the real estate market as well as the desires of North Shore residents, Carol founded a company whose mission is to build homes which are both aesthetically pleasing and which stand up to the demands of everyday living. The attention to detail in each Signature Properties home begins before anyone lifts a shovel. Does the flow of the rooms allow for easy and comfortable interaction of family members? Where do you put the groceries when you come into the home, arms filled with bags?Others often overlook these practical details, but to Signature Properties,these are the elements that are most essential in creating lasting satisfaction for our customers. Clients looking to renovate or build additions to their current homes receive the same close attention to detail and quality as the homes we build from the ground up. Signature’s admiration for architectural purity and historical integrity fosters an environment that genuinely appreciates the many beautiful homes that fill Chicago’s North Shore. Our respect for our clients and their homes makes Signature Properties a top choice when selecting a contractor for an addition or renovation. The founding ideal of creating a quality product has not been lost over the years. We pride ourselves on not just building houses, we build homes. Chris has over 30 years experience in home building. As a second generation builder, his father instilled pride in the finished product,emphasizing "do it right the first time." A carpenter by trade, he learned all facets of his craft, specializing in finished carpentry. He started with Signature Properties as the finish carpenter in 1997, and became construction manager shortly afterwards. Chris believes in the "Team" concept, with the sub-contractors involved in the building process. This team effort is reflected in the quality of homes that Signature Properties prides itself upon. "The one thing that has always impressed me about our homes is that the people who purchase them have become our friends."